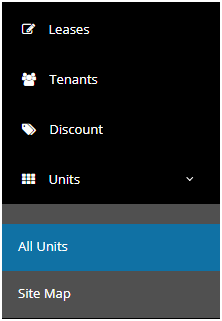 How can I edit/delete the units? HOW CAN I EDIT/ DELETE A UNIT? By hitting the Edit button, it will display a pop-up that allows you to create edit fields and to update info regarding the unit. Similarly by hitting on the Delete button throws a popup to reconfirm the Deletion.